Martion is actually one man, Heiner Basil Martion. He managed to produce test winners in the early 80ies, when audio magazines tested horn speakers and dared to compare things. This a time long gone by, sadly for the magazines, but Martion is still playing strong. Of all commercial products, this is Best Sound of the Show , for me. 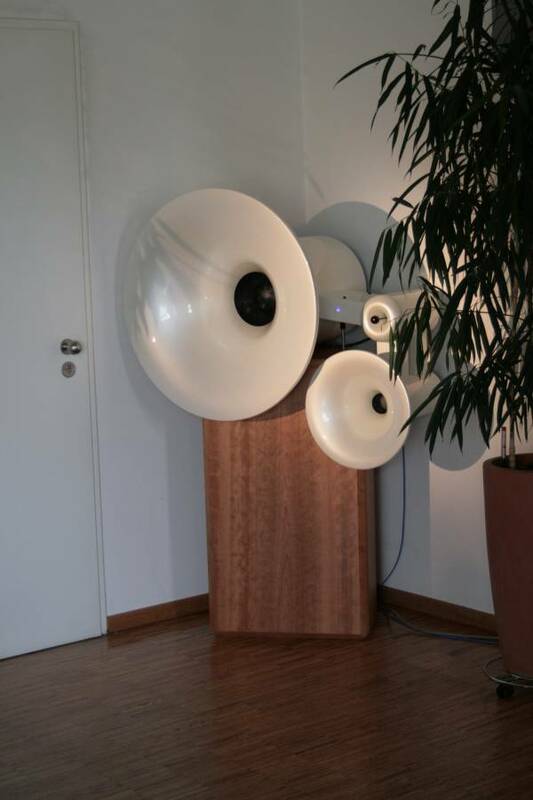 Have in mind, you get a four-way active horn loudspeaker, complete with crossover, a lot of power amplifiers, and a one-to-three-days job of calibration in your listening room, all for 50,000 EUR. 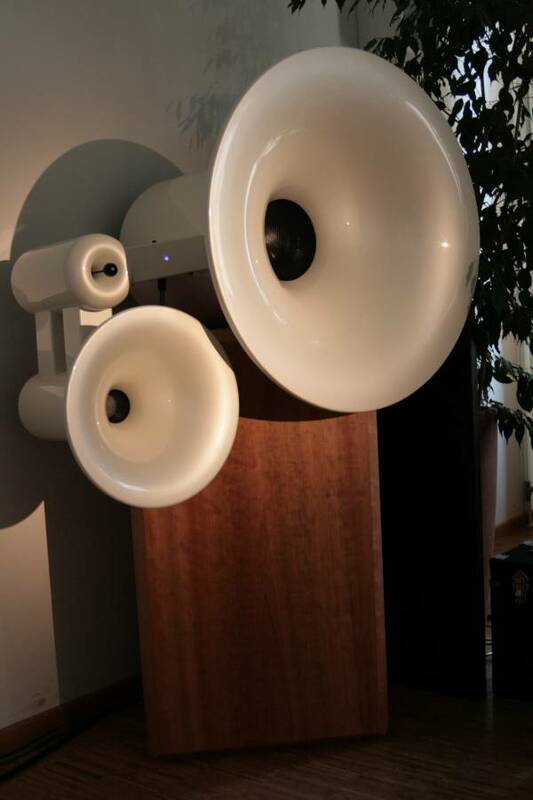 This horn sounds like an electrostatic speaker on steroids, with no detectable horn sound. Dieter Fricke vom Klangmeister is another dinosaur of the German high-end scene. In the 70ies he worked together with Helmut Brinkmann (the turntable man) in a company called Audiolabor. International success was prohibited by the name resemblance to UK company Audiolab. The Audiolabor Konstant turntable was the grandfather of the Brinkmann turntables of today. 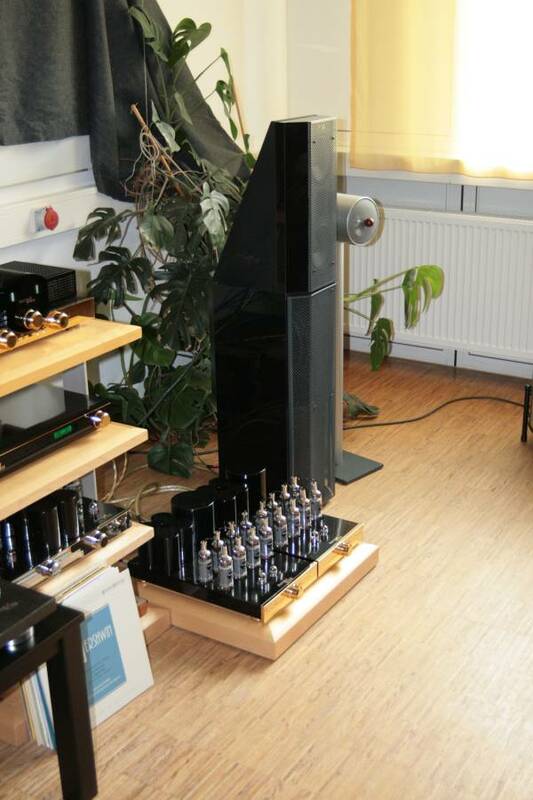 Dieter Fricke had some local success with his Ecouton-Audiolaber loudspeakers, and today makes a living from his speaker repair service. His three-way active dipole speaker Transar is made for normal living rooms (as opposed to the Martion) and just costs about half of the Martion. It is nearly as good as the Martion, with nothing to criticise, but less critical in positioning. The Transar will be sold with calibration in your home, like the Martion. While the big Transar dipole is always been built on special order, there is a smaller version of the dipole now available as commercial product from Eternal Arts, at a lower price. The price is still 5-digit, but now starting with a "1". 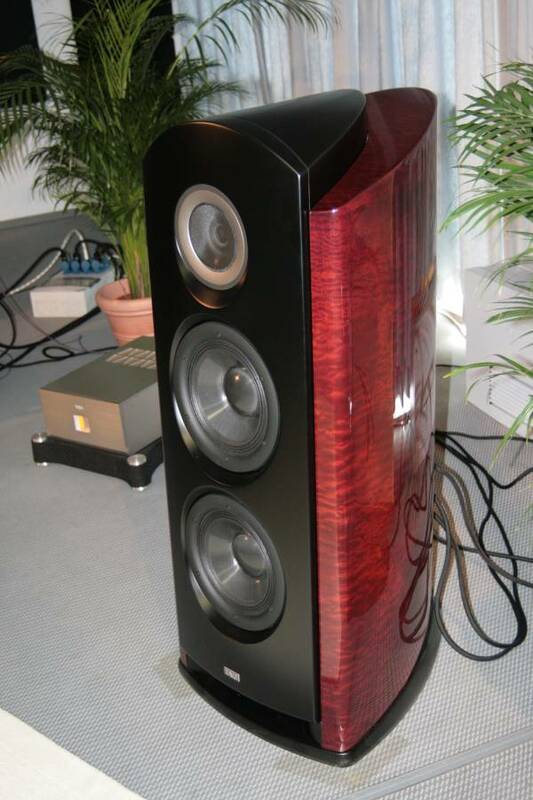 For many decades TAD has been the division of Pioneer, which builds own high tech speakers. The drivers are own developments loosely based on JBL professional drivers. Now this sounds promising. Vintage JBL quality optimized and brought to perfection. 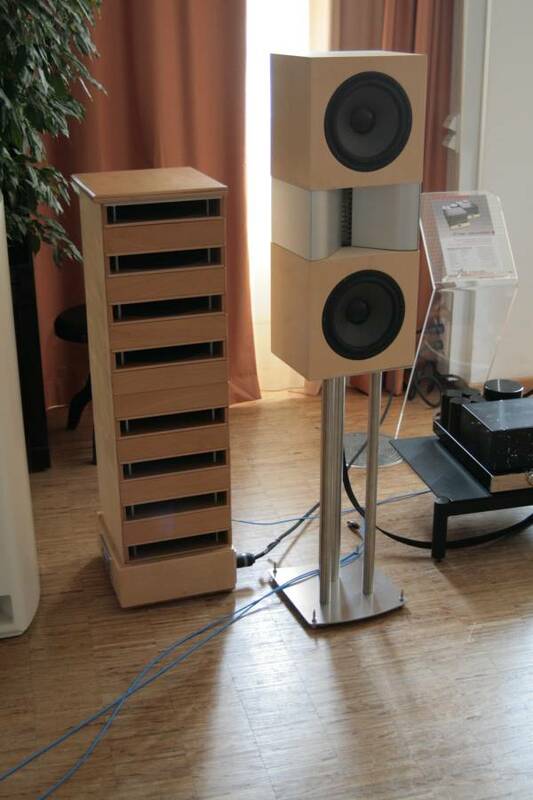 Unfortunately, this huge passive loudspeaker TAD Reference One cannot compete with either Martion or Fricke. While it played dynamically and could send huge undistorted amounts of level into the auditorium, it lacked the seamlessness, the wholeness, the organic quality. There are even more commercially available loudspeakers which better the TAD, like the Backes and Mueller active monitors, e.g. the BM-35. But, this TAD is not really bad, it just does not deliver absolute quality for its high price (60,000 USD). Though it is really perfect for the proverbial filthy rich, who want to play with power amplifiers endlessly searching for the perfect matching with the loudspeakers. 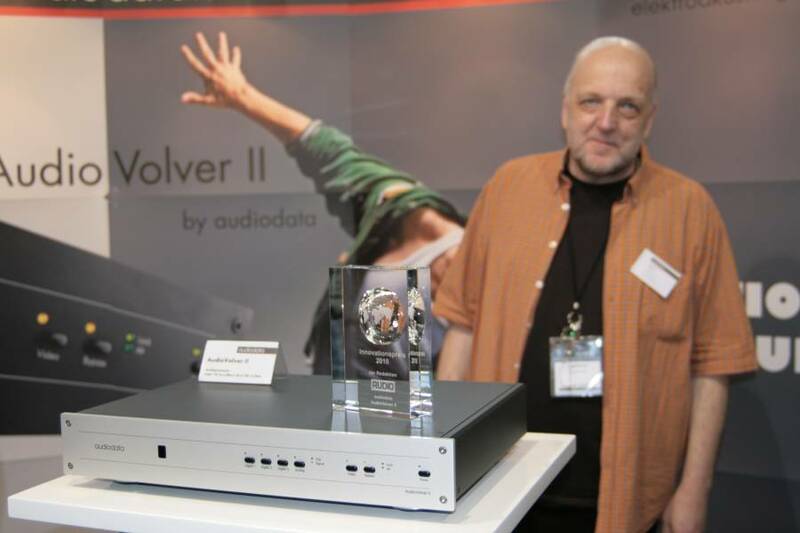 Audiovolver is a product which totally relies on the computing power of recent processors. What it really does is not only providing a flat frequency response, but also a perfect impulse response. Yes, this is it, you can take a high quality multi driver loudspeaker and compute the signal in such a way, that the impulse response is like from a single speaker. There are basic and advanced models available around 4000 EUR. Well, I hope you did enjoy this rather personal statement of an audio enthusiast. For more pictures and manufacturers' specs, feel free to visit other websites.